your chucking disappoints me son! "Nick,(heavy breathing)I am your father"
"Why haven't we raped anyone lately?" 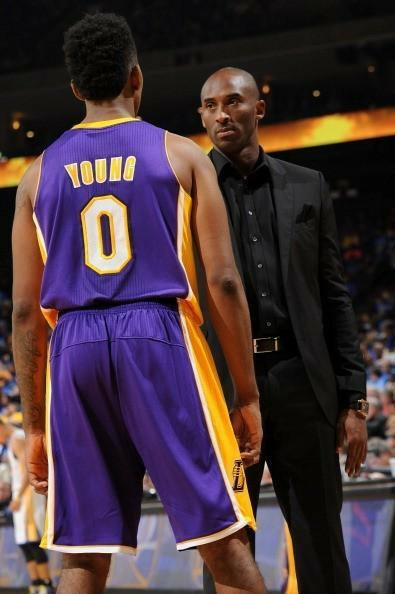 "Pau, get the baby powder"
after this death stare Mike Brown gets fired. after this stare Nick Young is out of the starting lineup. "Soon I will teach you. Have faith my son." "You know you not gonna get the ball much when I come back, right?" "If the feds catch us make this face and don't say anything until your lawyer gets there." "Buck your game up son, You heard what happened to Katelyn Faber when she pissed me off"
Swaggy, I am your father. "The **** is the cinnamon challenge?" "And then I told her, I don't know the meaning of the word 'no.'"